The following is part of a series exploring the variety of sustainability-related student organizations at NC State. One day will hamburgers be grown in a lab? It’s possible. The field of cultured meat is developing, including research happening at NC State. NC State student Hillary Dimig is a member of the Cellular Agriculture Society, a newly-formed campus organization that plans to host guest speakers involved in cultured meat research and advocacy. Here, she talks about the cultured meat and its significance. What is cultured meat and how long has it been around? 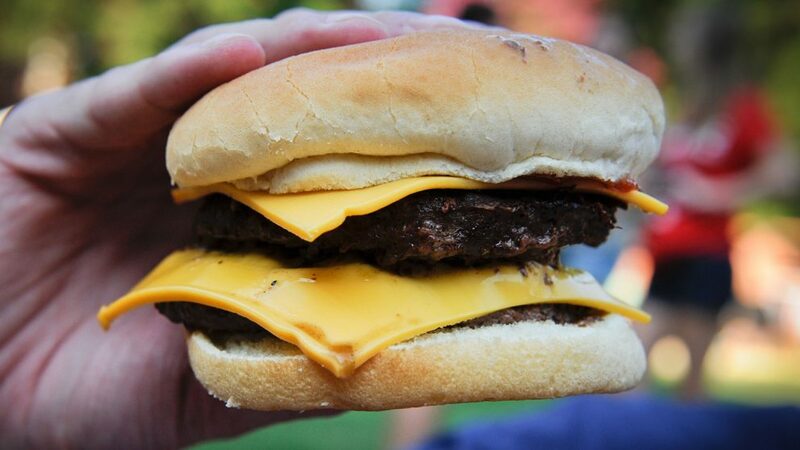 In 2013, the first cultured hamburger, created by Dr. Mark Post, made its debut. The burger was made from a small sample of myosatellite cells (stem cells that can generate muscle cells). These cells had been collected from a biopsy of a cow and then grown with a nutrient broth in a petri dish. This burger served mostly as proof of concept, but some consider cultured meat to be the future with advantages in terms of environmental impact, animal welfare, food security and health. Stem cells are obtained from an animal biopsy that can be performed with anesthetic. In NC State graduate student Marie Gibbons’ research on cultured turkey and chicken, one biopsy can theoretically produce countless tons of meat. There’s the opportunity to adjust fat content and composition for more lean meat or meat containing healthier fats. Additionally, there’s the potential to reduce foodborne illness, such as outbreaks of salmonella and E. coli. What are the sustainability implications? Livestock accounts for a large amount of water use, land use and antibiotic use as well as greenhouse gas emissions. USDA projects that increased income and population in developing countries will cause an approximately 12.8 percent increase in global meat demand by 2025. A Environmental Science and Technology study found that cultured meat would most likely reduce water and land use, as well as greenhouse gas emissions. Its production could, however, require more energy than that of poultry. Why isn’t cultured meat mainstream? This is an emerging area of work. Research is ongoing, so the process isn’t ready for mass production. Also, the cost of production is currently very high but should decrease once production methods are established and the processes are scaled. One other notable challenge in bringing cultured meat to market is public perception. A Pew Research poll asked in 2014 if participants would regularly “eat meat grown in a lab” and only 20 percent answered yes. In order to be adopted widely, more education will need to happen. Is there a way to get involved on campus? The Cellular Agriculture Society is a newly-formed campus organization that plans to host guest speakers involved in cultured meat research and advocacy. You can access their Facebook and Get Involved pages.